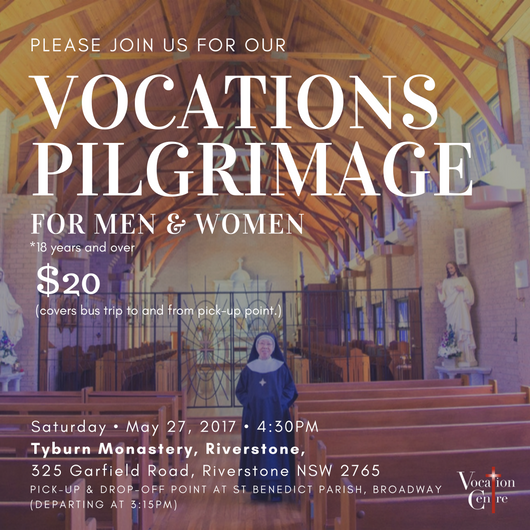 We would like to specially invite you to the Vocations Pilgrimage for Men & Women on Saturday 27 May 2017 at Tyburn Monastery in Riverstone. Please join us for an evening of prayerful reflection and contemplation at the Tyburn Monastery. 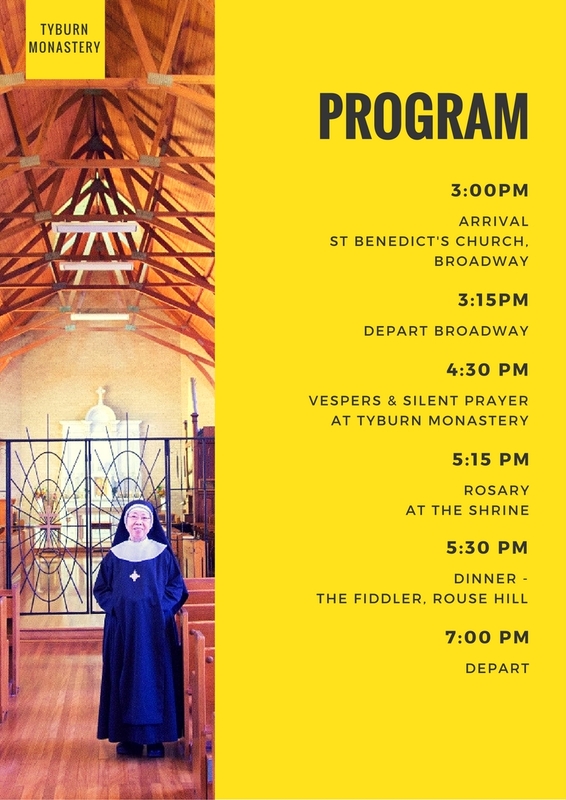 The cost of the pilgrimage is $20 which covers the bus trip to and from the pick-pup location at St Benedict Parish, Broadway (payable via cash on the day). Please RSVP by Wednesday 24 May 2017.